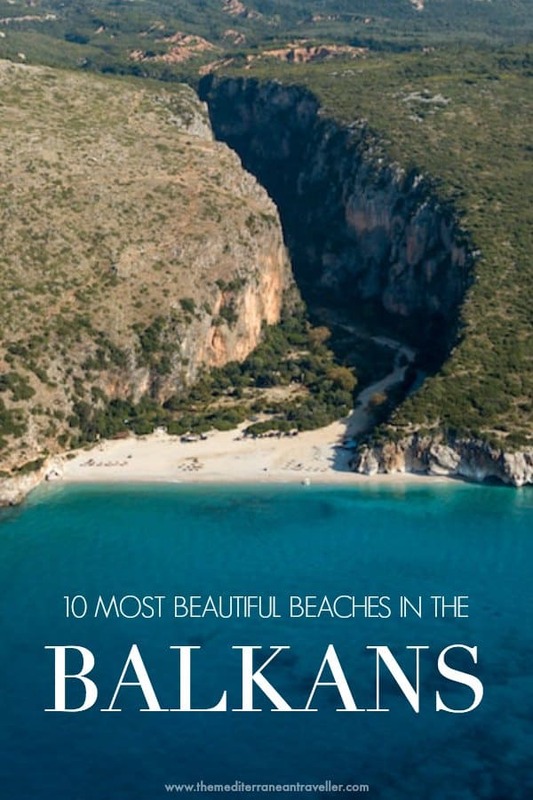 The Balkans might not be the first region that springs to mind when you think of beautiful beaches, but this stunning stretch of Adriatic coastline is an underrated beach destination. From national treasures to hidden gems, here are some of the best. 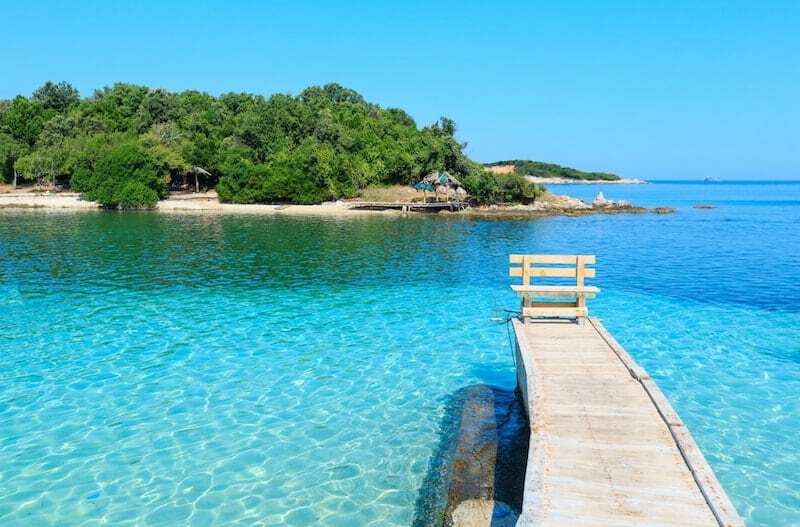 Albania is relatively unknown as far as Mediterranean beach resorts go but it boasts sandy beaches and turquoise seas just as good as its southern neighbour Greece. Croatia and Montenegro are known more for their islands and fjords, but there are some great beaches – although they do tend to be pebbly. 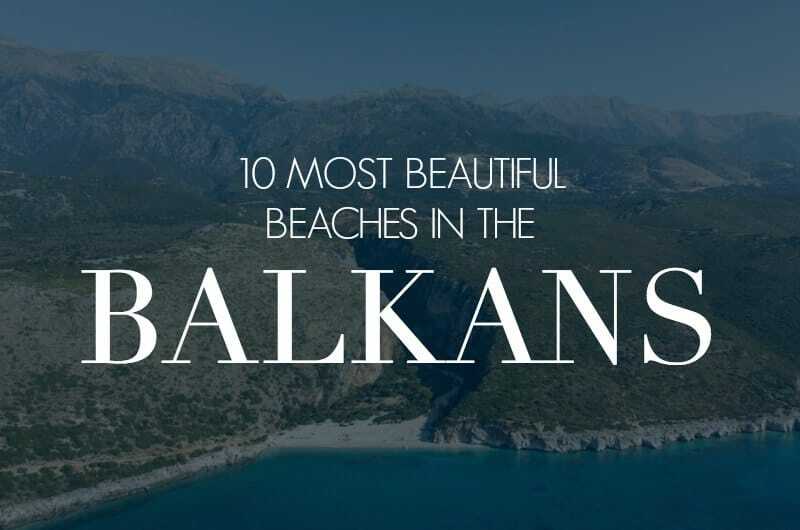 So if you’re exploring this part of Europe this summer then check out this list of the 10 top beaches in the Balkans, from the famous islet of Sveti Stefan to the incredible turquoise waters of Ksamil, to the incredible secret beaches of Gjipe and Nugal. The beach is like something from a dream. Or like something from ‘The Beach’. Eagled-eyed readers might recognise it from promo shots for the recent electronic festival Kala, which is set in nearby Dhermi. Gjipe is located at the end of a canyon, surrounded by steep cliffs and dense vegetation. It’s a 30-minute hike from the nearest main road, but in high summer you can also take a boat or kayak from nearby Jala Beach. Surely the most beautiful beach in Albania, it’s only a matter of time before it becomes more crowded. 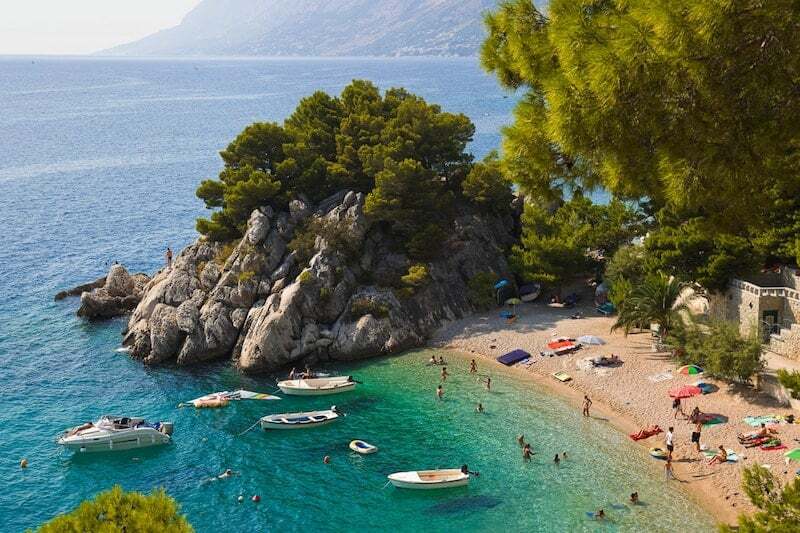 Definitely the most famous beach in Montenegro, Sveti Stefan is a small (and incredibly photogenic) islet along the coast of Budva which is connected to the coast by a beachy islet. The fortified village on the island was originally home to around 400 people, 4 churches, and is reminiscent of fortified towns further up the coast in Croatia such as Korcula. It was first converted to a hotel by the Yugoslav Communist authorities in the 1950s. The island is now owned by the luxury hotel group Aman – you’ll pay a pretty penny to stay here. One side (the north) of the beach joining the island belongs to Aman, but the south side is public – although sun loungers are still eye-wateringly expensive. Gjipe may get the award for the most beautiful beach in Albania, but Ksamil is arguably the jewel in the tourist industry’s crown. And it’s much more accessible, to boot. Ksamil is a small village in the south of the country, close enough to nearby Greek island of Corfu to attract crowds on day trippers. For many, this is their first (and only) taste of Albania. 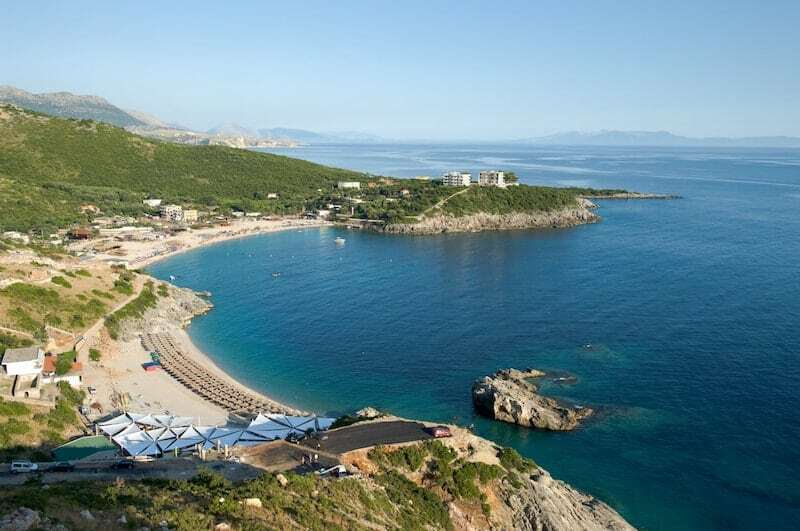 It’s also close to the big Albania resort city of Saranda. Lovely Ksamil is a small village idyll, home to white sandy beaches, 4 uninhabited islands, and some of the clearest turquoise waters in Europe. No wonder the daytrippers love it – and it does get undeniably busy in the peak of summer. 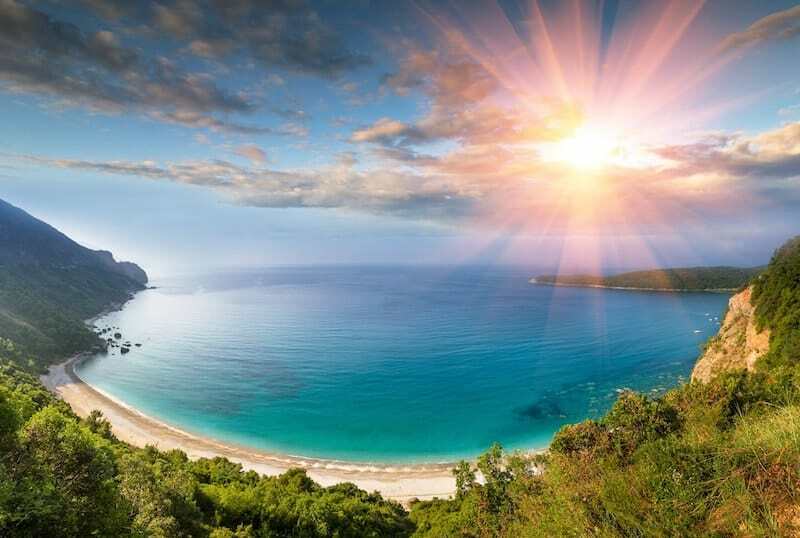 Zlatni Rat is Croatia’s most photographed beach. As one of the country’s few proper sandy beaches, it’s photogenic finger-like spit of land is unsurprisingly a big draw. 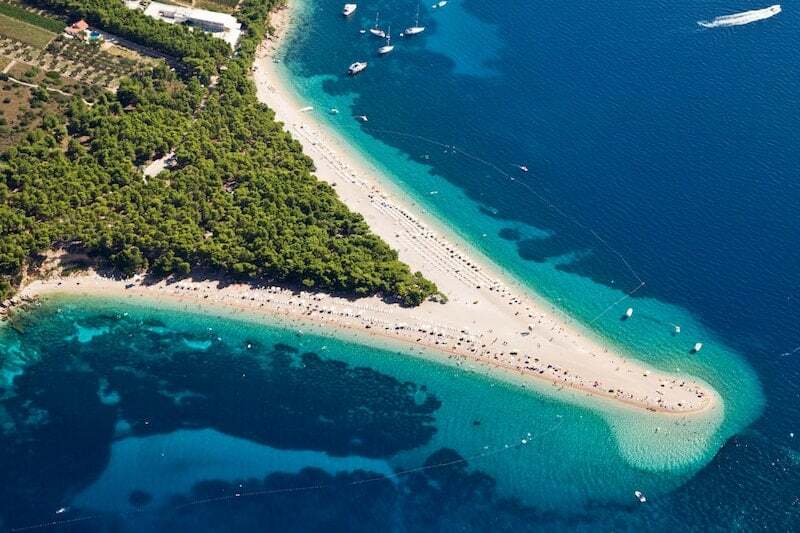 Otherwise known as the ‘Golden Horn’ or ‘Golden Cape’, you’ll find Zlatni Rat on the island of Brač. The beach changes shape every couple of years thanks to the strong currents of the Hvar Channel (which also make it hazardous for swimmers). It’s popular with windsurfers though, thanks to the predictable Maestral westerlies. 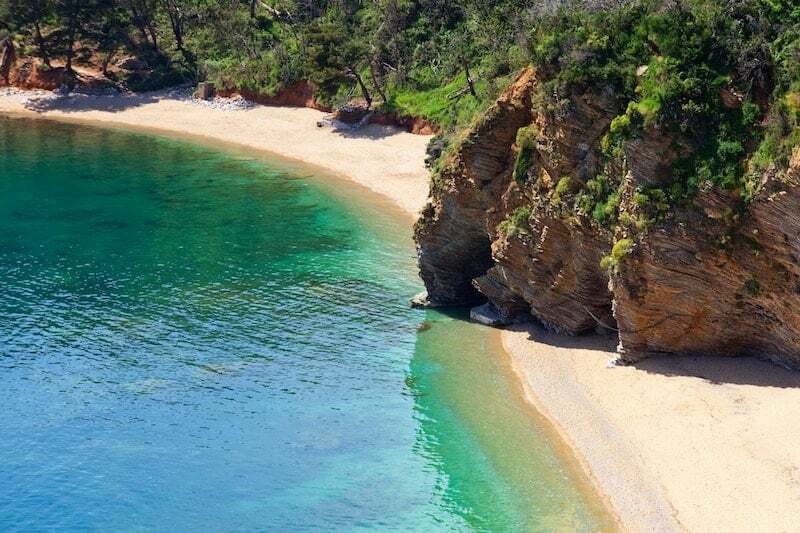 Beautiful Mogren Beach on the Budva Riviera has sumptuously emerald waters and steep cliffs topped with trees. Cliff-jumping is popular here. There are two beaches which are connected by a tunnel in the cliffs. It’s reached by a coastal path from Budva Old Town (which takes around 25 minutes) so don’t expect it to be crowd free, although it is unorganised and feels a little wilder than some of the beaches in this busy strip of coast. According to local lore, the beach is named after a Spanish sailor who was shipwrecked on the beach. 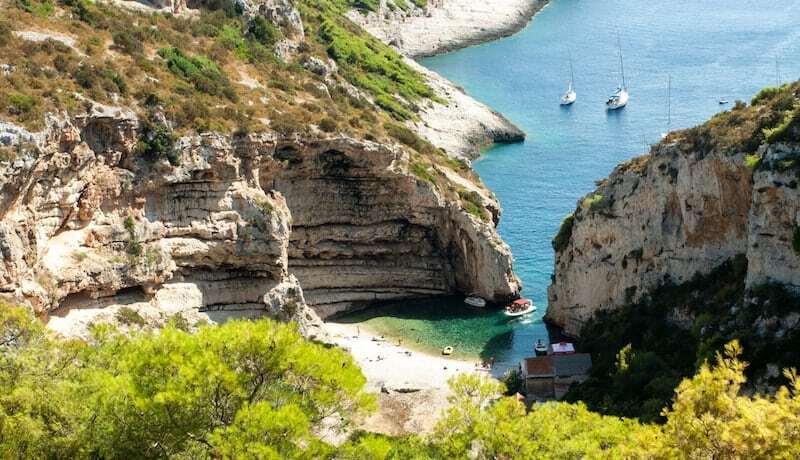 Little Stiniva Cove on the island of Vis is one of Europe’s most fascinating hidden beaches. Word on the street is that it used to be a cave when sea levels where much higher, explaining its unique shape. Stiniva is no longer a secret – it’s becoming increasingly popular with daytrippers who come by boat (small ones, mind you, as the narrow entrance to the beach through the cliff gate is just 4km wide). 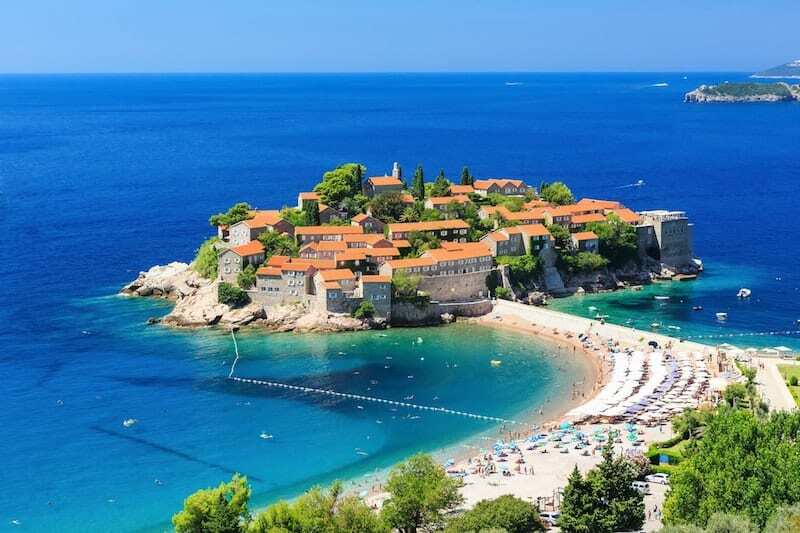 Although Sveti Stefan is the beach in Montenegro that all the tourists know, locals flock to Jaz Beach, 2.5km west of Budva. There are two sections of beach, one of which has a hippie/camping vibe (it used to be a nudist beach although disrobing is now discouraged). The steep hills have kept the worst of development away, although it still gets busy. There are numerous beach bars, and hosts numerous concert and festival venue. Now here’s a beach you won’t see very often in the tourist brochures. 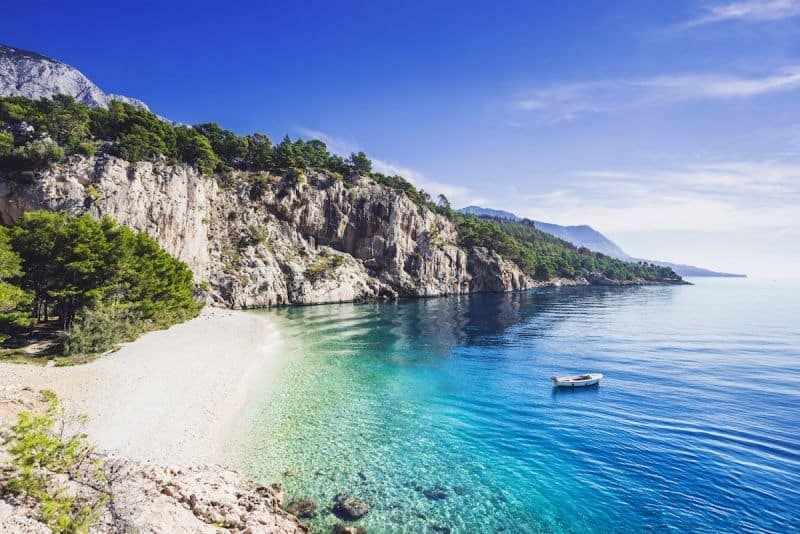 That’s because the hidden beach of Nugal in the Makarska region is more popular with nudists and hikers than holidaymakers. If that catches your attention, you’ll find this treasure in Osejava Park where you’ll have to hike 30 minutes to reach it. But you’ll be rewarded by dense forest, steep karst cliffs and crystal clear waters. 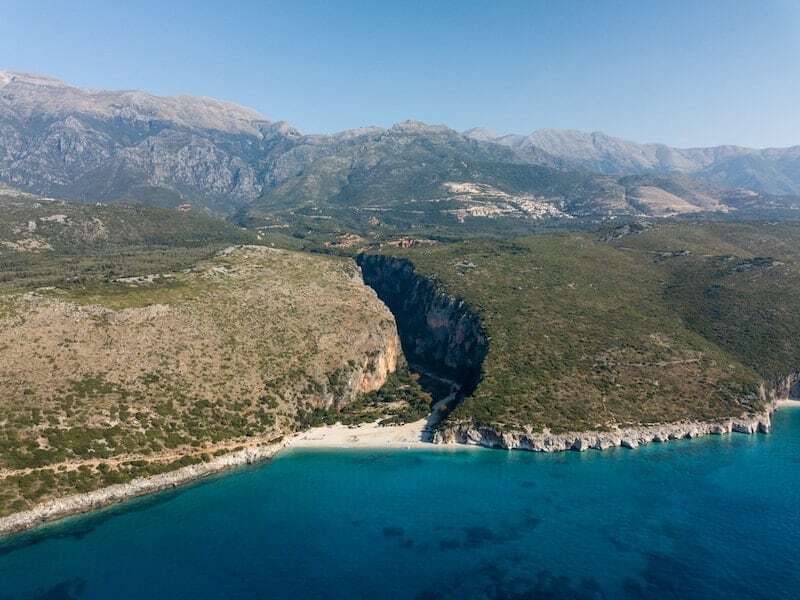 The luminescent turquoise waters of Albanian beaches continue along at the bay of Jala, which is not far from the resort of Himara (which also has a lovely beach). The crowds have started to discover Jala and development is starting to sprout up, although for the moment it’s still relatively low key. How long will it stay like that? 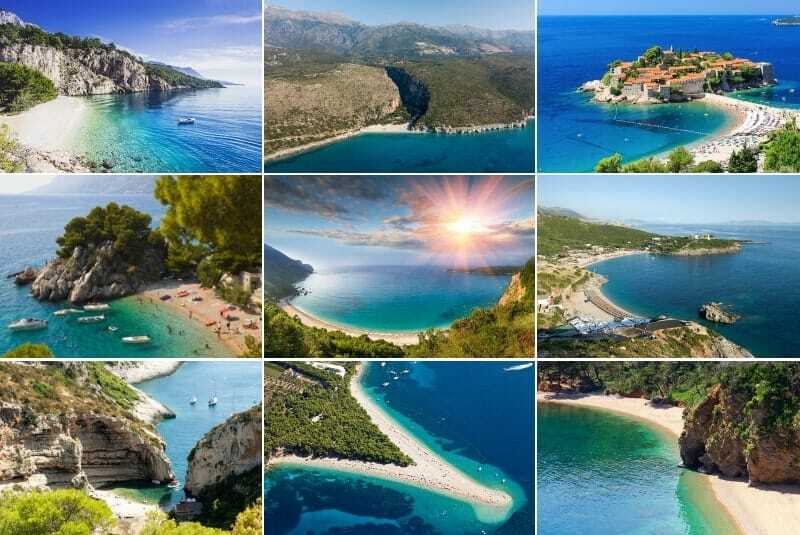 Albania is deservedly becoming a more mainstream tourist destination. Get here now before it changes beyond recognition. The picturesque little Punta Rata Beach at Brela is getting a reputation as one of the prettiest beaches in Croatia. And that’s due to its 6km of pebbly beach, dotted with striking rock formations and backed by fragrant pines. The Biokovo Mountains loom in the background. The area is a playground for nature-lovers; there’s a long promenade which runs parallel to the beach and a nature park up in the hills, where eagles and wolves roam.